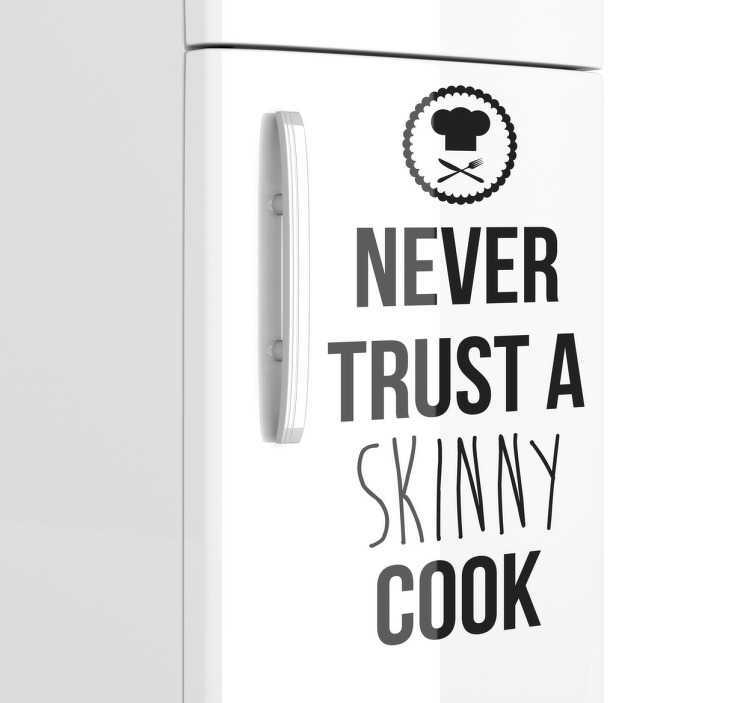 From our collection of wall quote stickers a fun phrase that tells you to; "Never trust a skinny cook". Ideal for decorating your kitchen in a humorous and light-hearted way. If you feel that skinny cooks are not to be trusted then this decal is perfect for you! A fun phrase that your friends and family are sure to love. Place this sticker on your kitchen walls or even on your fridge to achieve a great look. Many sizes and colours available to suit you and the rest of your decor. Apply easily and remove without leaving any residue.